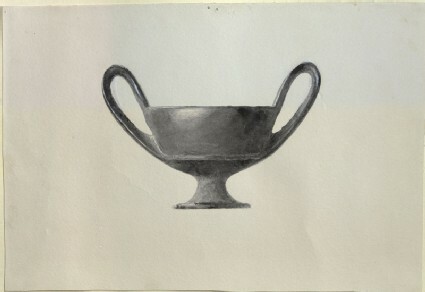 R|53} Study of Greek Clay Cantharus (not to be written Kantharos, in English, nor Acanthus, akanthos). M.
R|53} Study of Greek clay cantharus (not to be written kantharos, in English, nor acanthus, akanthos The barbarous practice of spelling Greek words in the Greek manner when they occur in the writing of English, was, I believe, first introduced by Mr. Grote, and in his case meant merely that his knowledge of Greek sat uneasily upon him. I shall never have enough, myself, to feel a like discomfort; but am in this the better representative of the majority of English readers, in whose name I resolutely decline to have Socrates spelt for me with a k, and a pair of compasses over the o to remind me it is a long one. ).M. 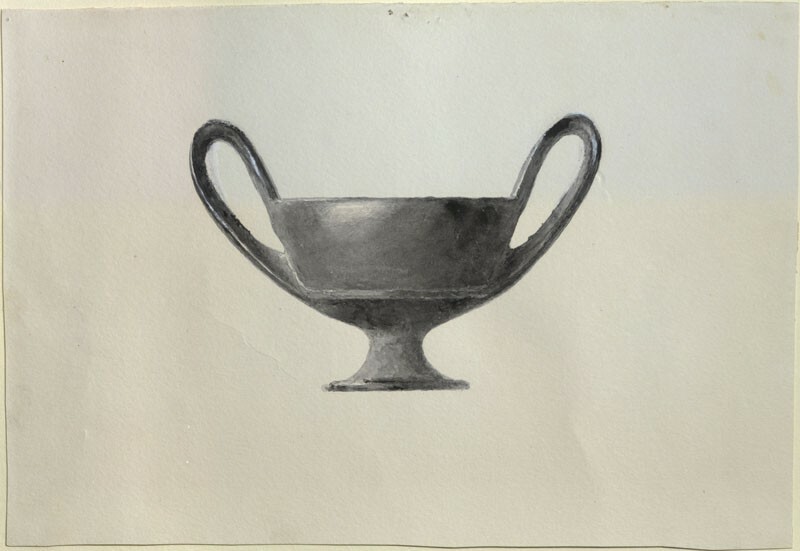 Rapid study of Greek cantharus‘cantharus’, to show the best method of drawing Greek vases. No more work ought ever to be put on a drawing of them than is used here. The skill of the draughtsman is to be shown in drawing the right curves with the edge of his wash, and in getting true chiaroscuro with little trouble. A thoroughly good artist would have got it with less work than is used here, but average students need not expect to do so.